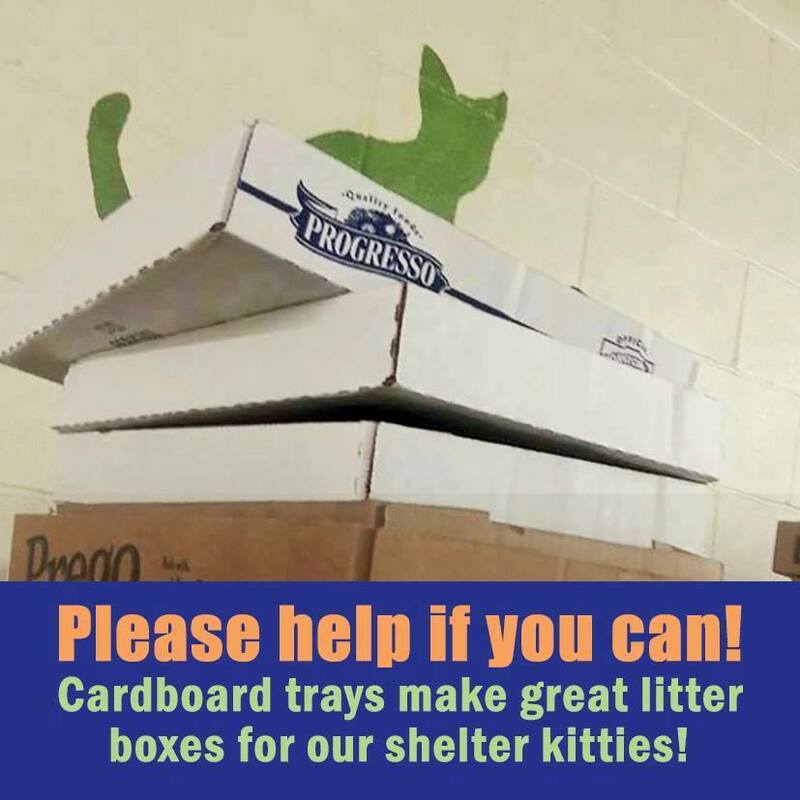 Home Blog Our kitties need carboard trays for litter boxes. Please bring some! Our kitties could sure use some litter boxes – we are running low! If you have any boxes like these, or can get some from your local retailers, we sure would appreciate it! They need to be about 2-3” tall. You can drop them off during normal hours, or just leave them at the door at 8535 Hwy 242, Conroe, TX. MCAS thanks you all in advance!